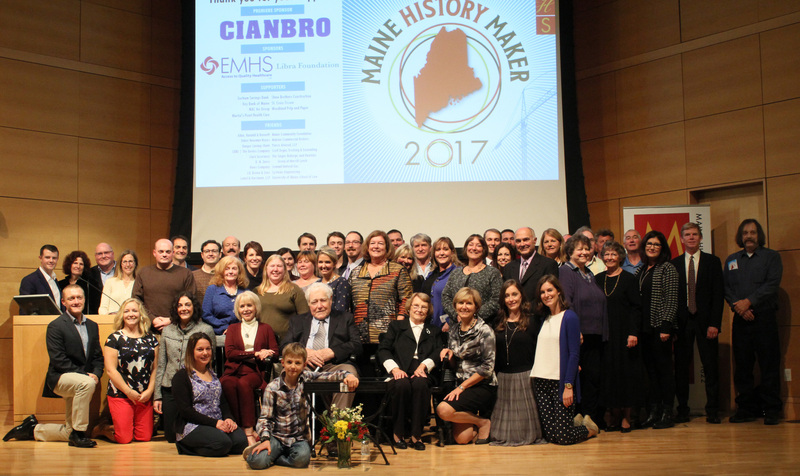 Maine Historical Society's Maine History Maker award honors contemporary citizens who are shaping life in Maine today. Eligible honorees include business leaders, artists, community members, cultural workers, doctors, journalists, educators, political figures, and others who make a difference. The program recognizes traditions of innovation, leadership, and commitment to community that have defined life in Maine throughout its history, and the continuity between Maine's rich past, the dynamic present, and the robust future we all seek to nurture and build. 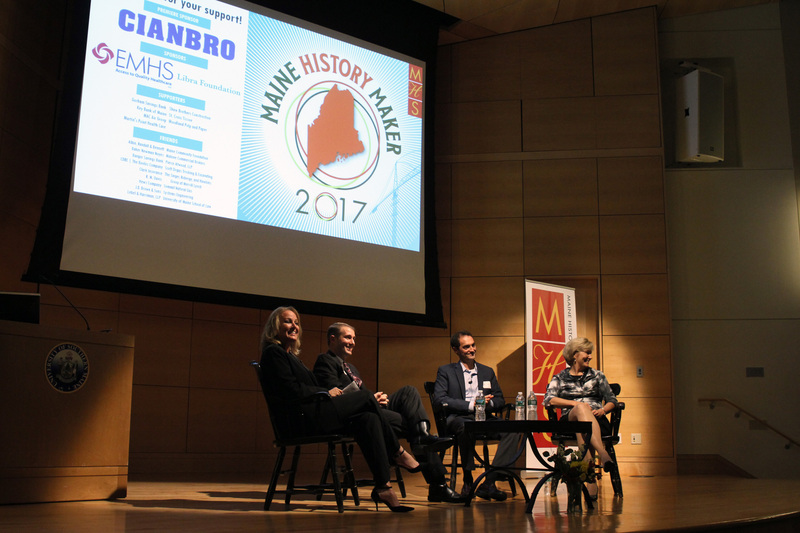 Maine History Makers represent characteristics Mainers are known for and proud of—independence, creativity, and selflessness. These characteristics have been present throughout Maine history, and are found in diverse places and aspects of contemporary life: in outdoorsmen and women, downeast lobstermen and innovative boat builders; in political leaders nationally known for their independent thinking and common-sense approaches; in writers and artists; and in entrepreneurs who see and seize opportunities and build new businesses and industries. Sometimes history makers are well-known; often they have simply made an out-sized contribution to their community. 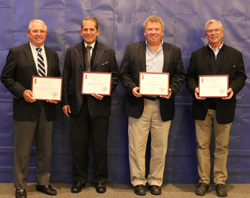 In 2018 the honorees were those that carried forward Maine's heritage of leadership in the food industry which dates back centuries--to when Maine merchants, shipbuilders, and fishermen provided fish, agricultural products, rum, and ice to international markets, to Mainers' invention of the canning industry, to the emergence of lobsters, blueberries, and whoopie pies as iconic Maine foods. Our honorees have helped reimagine the food industry, created new products and markets, helped revitalize Maine's economy, and are enriching Maine's sense of place. They have broken trail for Maine's current food renaissance and created opportunity for all who are driving Maine's food industry today. The Barber Family: Through its stewardship of Barber Foods, members of the Barber family have been civic leaders, economic catalysts, and committed members of the Maine community. Sam Hayward: His commitment to local foods and partnership with Maine providers and producers has had an immense impact on Maine's restaurant scene. David L. Geary: David's vision and hard work helped create an industry where there virtually was none, and he has mentored and created opportunity for a new generation of passionate brewers who are reshaping Maine. O'Hara Corporation: The O'Hara family's long contribution and commitment to Maine, leadership of Maine's seafood sector, ability to evolve, and continued vitality make it an ideal honoree. Smith's Farm: The interests of consumers for sustainable products reflect practices that have defined Smith's Farm since Oliver and Isabelle started farming in 1859. We will honor the recent generations as well, recognizing the growth of Smith Packing. The award honors the direct descendants of Ralph and Edna Cianchette—their children, grandchildren, and great-grandchildren. 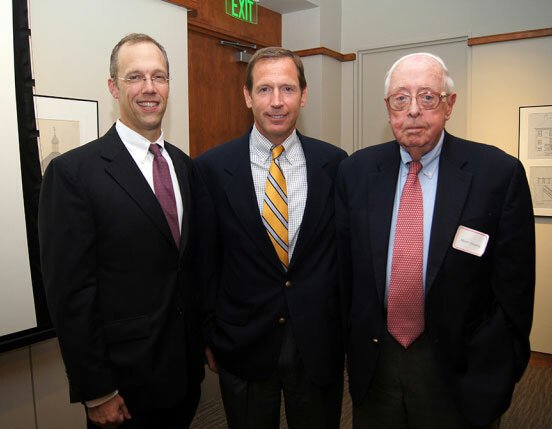 100 years of Cianchette family history reflects essential aspects of the Maine experience—Ralph's immigration to Maine, his sons' service during World War II, and the brothers' hustle and acumen in building Cianbro, Main Line Fence and other businesses. Now, in this century, we see the many ways in which their children and grandchildren continue to lead in diverse endeavors. Andrea Cianchette Maker, an attorney at Pierce Atwood whose practice supports Maine businesses and whose civic leadership, focuses on ensuring that Maine's economy will thrive in the future; Jason Cianchette, founder of Liquid Wireless and Huzzap, is focused on growing the digital economy here in Maine, and Michael Cianchette, business executive, former Chief Legal Counsel and Senior Advisor to Gov. Paul LePage, and Maine Turnpike Authority Member is a leading voice in the state. Cianchette leadership—past, present, and future—is what we honor. Mary's leadership on a broad range of civil rights issues on behalf of the LGBT community over the past three decades continues Maine's long tradition of participation in national civil rights and social movements, dating back to and including abolition and women's suffrage. Mary is best known for successfully making the case to the U.S. Supreme Court in Obergefell vs. Hodges that marriage is a constitutionally-protected right enjoyed by all. Mary came to Maine in 1987 when, as an openly gay and newly minted attorney, she accepted a position at a small Portland law firm. 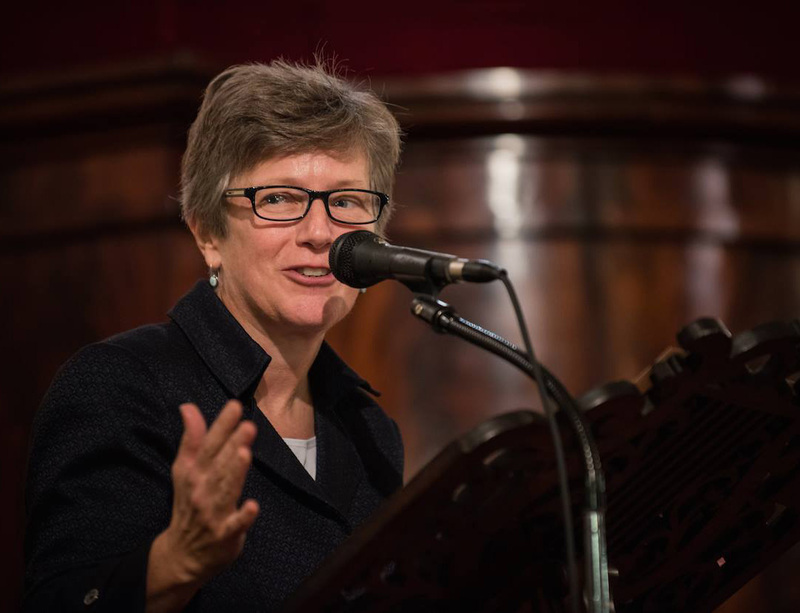 Ever since, she has been a fierce advocate for LGBTQ people in Maine and beyond. In 1990, Mary became Civil Rights Project Director at Gay & Lesbian Advocates & Defenders (GLAD) in Boston. That put her in a position to collaborate with partners across the country to develop and implement strategies to gradually dismantle the legal roadblocks that fostered discrimination and the denial of basic constitutional rights for LGBTQ people. The Obergefell decision in 2015 reflected the emergence of a community and a sea change in attitudes that was unimaginable only a few years ago. The Mills family has made contributions to Maine in law, business, social services, politics, and in many other ways. 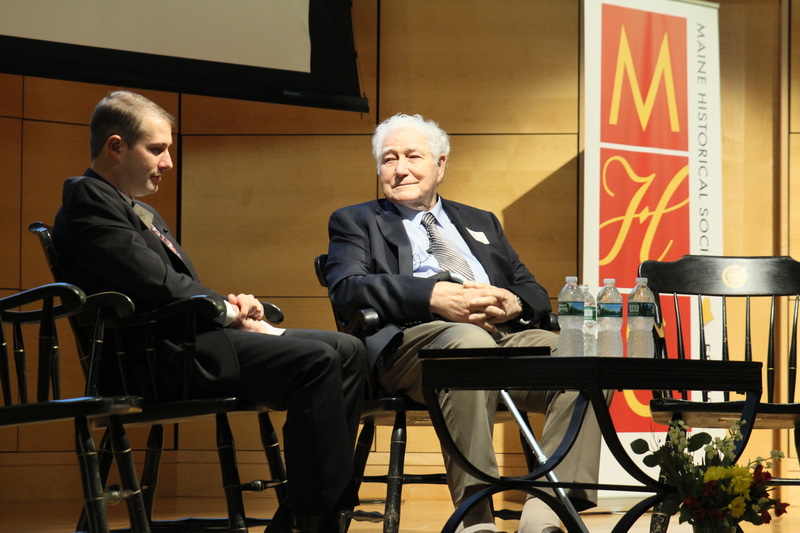 The Mills family has deep Maine roots; the 2015 Maine History Maker award recognizes four members of the current generation—Dora, Janet, Paul, and Peter—each of whom has been a leader in his/her respective professional community, and each of whom has dedicated much of their careers to public service and the people of Maine. 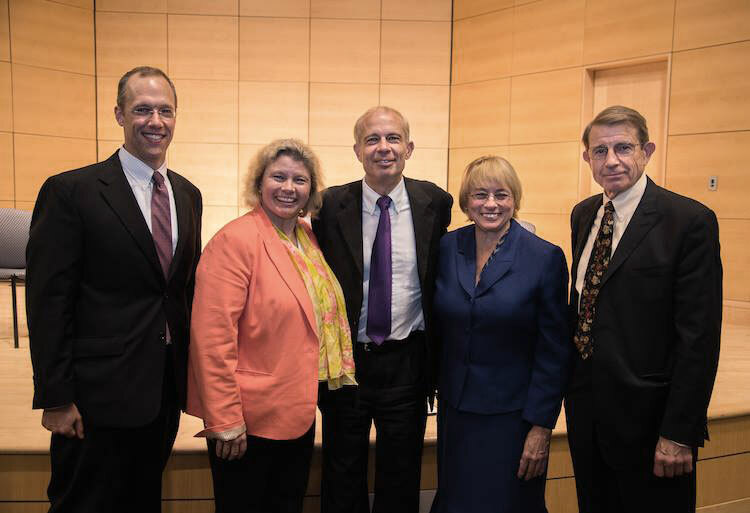 Dora as a public health advocate; Janet as Maine's Attorney General; Paul as an attorney; and Peter as a state legislator. Vin continues a long-tradition of leadership at J.B. Brown that dates back well over 180 years. As one of Maine's oldest and most-respected family-owned businesses, J.B. Brown & Sons continues to invest in Portland, to shape the face of the city, and to give back to the community. Current development projects are helping support Portland's booming tourism industry, creating new commercial and industrial spaces, and contributing to Maine's economic landscape in diverse and important ways. In all of its efforts, the company operates quietly, confidently, with humility, and a long-term view—values we share and believe are an essential part of the Maine character. Vin was also the catalyst for a groundbreaking partnership between Portland Public Library and Maine Historical Society. Vin's generosity and leadership set in motion a project that is transforming both organizations: our development of a shared offsite Collections Management Facility. The project is a model of nonprofit collaboration, key to both organizations' futures, and sets the stage for the continued transformation of our campuses on Congress Street. Mert has been a tireless champion of the people of Maine throughout a long career of public service. He is also one of Maine Historical Society's longest-tenured members. Born in Hampden, Mert served in the Phillipines during World War II before attending Bowdoin College and going on to earn a law degree from George Washington University. Mert was a founder of the law firm Jensen Baird Gardner & Henry in 1961. Mert's wife Harriet was Maine's first female judge and a towering figure in her own right. A long-time leader in the Maine Republican Party, Mert is well-known for his service to Senator Margaret Chase Smith and for mentoring and supporting numerous Maine politicians. Mert has served on the Boards of the Margaret Chase Smith Foundation, the Morton Kelly Charitable Trust, Bowdoin College, Maine Medical Center, and the Maine Community Foundation, Hospice of Maine, among others. He also helped found Piper Shores in Scarborough.